Frameworks of Absence at the next Armory Art Fair! I am thrilled to announce that Ronald Feldman Fine Arts will dedicate their booth at The Armory Show this year to my series Frameworks of Absence (and a selection of my other works). The booth will take the form of small museum depicting the disappearance of animals in the Americas over the past four centuries. 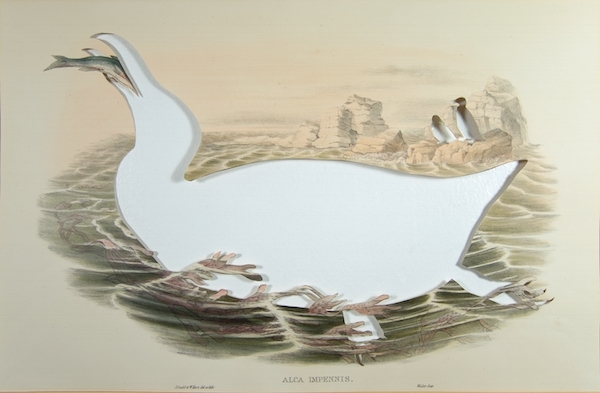 As response to the current mass extinction event, referred to as the Holocene or Sixth Great Extinction, I physically cut images of missing animals from actual historic prints and publications printed at the time in history when the depicted species became extinct. The resulting image minus the subject is what I refer to as a Framework of Absence. The Frameworks of Absence series was started in 2006 and the plan for the Armory Show has been in the works for almost a year. I actually spent most of 2014 researching extinct species, sourcing prints and creating close to 100 new works for this show! For these new works, I am collaborating with the wonderful team at Q Art Co to create frames inspired from the time period of each original print. The exhibition will also be in support of the Natural Resources Defense Council’s (NRDC) vital work to protect wildlife and ecosystems. Check out the press release for more information and more news soon! The fair opens March 5 in NYC and I hope to see you there. 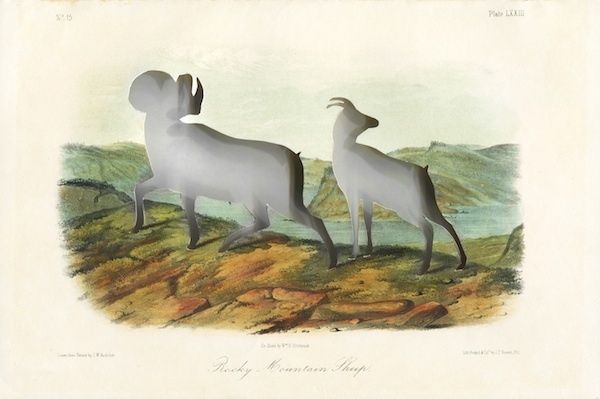 Artist cut and burnt print hand colored stone lithograph “No.15 Plate LXXIII Rocky Mountain Sheep” from Viviparous Quadrupeds of North America by John James Audubon and John Bachman, drawn from nature by John Woodhouse Audubon, depicted onto stone by William E. Hitchcock, Octavo Edition printed and hand colored by J. T. Bowen published in 1849. This entry was posted in News on January 17, 2015 by admin. This entry was posted in News on June 25, 2014 by admin. 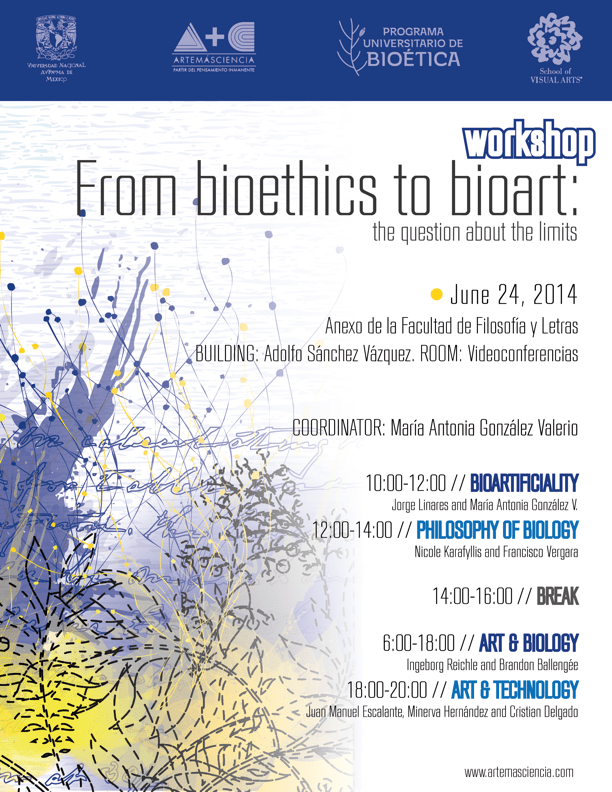 Please join us tomorrow at the 12th World Congress of Bioethics. 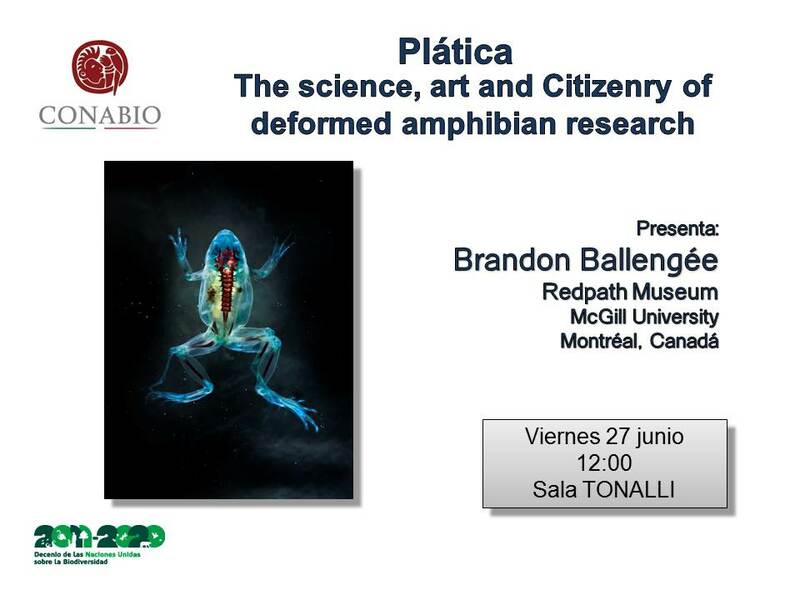 Here I will be presenting The Art, Science And Ecological Ethics Of Deformed Amphibians: A Practioner’s Perspective in the symposium From Bioethics to BioArt: A Question about the Limits organized by Prof. Dr. Antonia González Valerio (National Autonomous University of Mexico, Mexico City, Mexico) and PD Dr. Ingeborg Reichle (Humboldt University, Berlin, Germany). This entry was posted in News on June 23, 2014 by admin. A dire situation of amphibian decline has happened in the Netherlands. In the past five years 96% of the Fire salamander population has been wiped out by a new fungus that is devouring their skin. In an attempt to save the species from extinction, Dutch scientists have created SOS Vuursalamander and are keeping the majority of the remaining population (only 120 of them) captive until re-introduction is possible. Keeping and treating them is very costly and, unfortunately, the organization has received very little funding so far. The scientists desperately need help to continue their efforts. 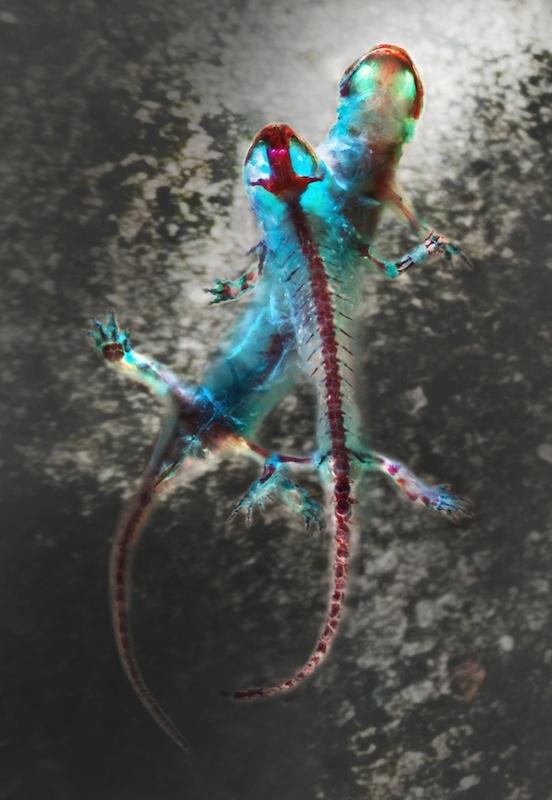 Working with Museum Het Domein, RAVON and several partner organizations, I just debuted a new limited edition print to directly raise money for “adopting” for these Fire salamanders. All profits will go to SOS Vuursalamander and with the sale of one print, 2 living salamanders will be saved for more than a year in captivity. The goal for the edition is nothing short of trying to save these beautiful salamanders from extinction! The artwork depicts two wild Fire salamanders that died from the fungal infection in the Netherlands. 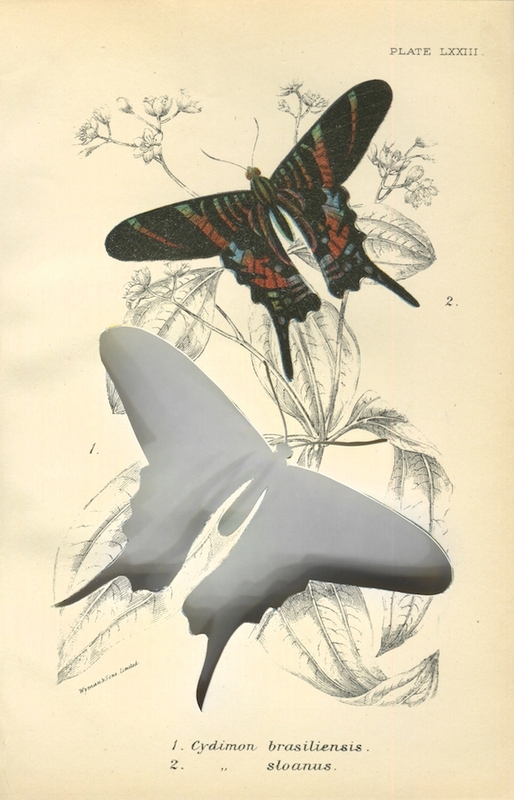 The specimens were cleared and stained then photographed while I was in residence at Museum Het Domein this past May. The background is a micro-detail of ashes meant to recall cremation ceremonies. There are 96 total prints in the edition representing the 96% population decline to the species. Click here for more information. Please help us save these wonderful creatures by buying a print. This entry was posted in News on June 15, 2014 by admin.